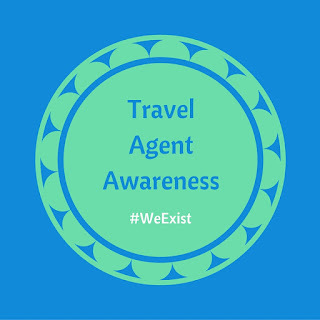 Today, November 1st, marked the beginning of "Travel Agent Awareness Week" a social media campaign created by travel agents. The goal is to showcase the true benefits of working with a travel agent in today's click-and-book world. For those of you who have worked with a good agent, you'll already know the benefits but for those who have not, I'm going to be spending the next seven days on social media highlighting some of the reasons why you are really missing out. 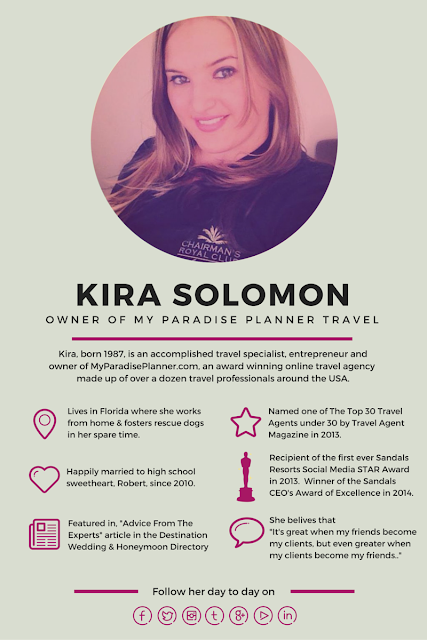 By now many have already read my post about why I decided to become a travel agent. For those who don't know the story, definitely check it out so you'll understand the driving passion behind my decision to quit college and risk it all by opening up an online travel agency in the middle of the 2008 economic recession (yikes). But what many don't know is that my job as a travel agent isn't just to send some quotes, answer your questions, get you booked before moving on to the next client. As a professional travel agent, I treat every vacation I book for a client as if it were my own and therefore I put my whole heart into every aspect of your trip, from start to finish. 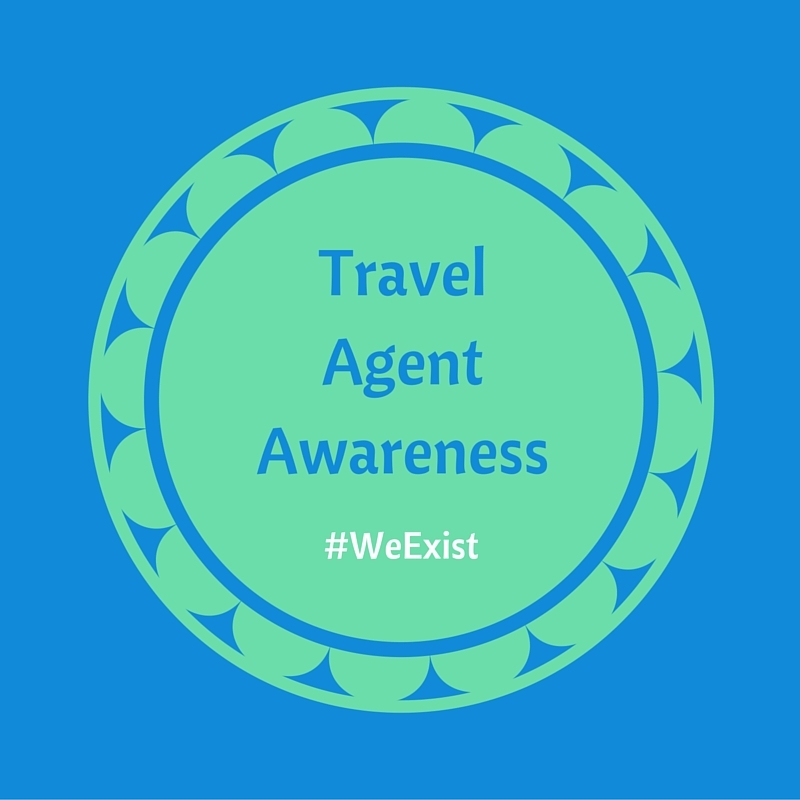 Since there are seven days in this week to raise Travel Agent Awareness, I've decided to highlight just seven of the many examples of times when my clients were glad they booked with me and not with a big company or online directly. When a couple was afraid to trust a travel agent after the first one ruined their destination wedding, but decided to trust me and my recommendation and had the most amazing wedding re-do in paradise that they've had me book them to go back every year since. When my clients asked me to book the cheapest room available and arrived to a two bedroom suite with a gift basket on the bed from the hotel manager thanking them for booking with me. When a hurricane hit the Northeast and my clients were stuck in Turks and Caicos for an extra few days. While the other guests waited in the long line at the front desk to change their travel plans, my clients went snorkeling and hung out on the beach as I worked tirelessly to get them re-accommodated on another flight and in another hotel for the rest of the weekend. When my clients texted me at six in the morning from the airport, frantic that they forgot to print the vouchers they needed for their transfers to the hotel in Dominican Republic. While they were in the air I made sure the tour company knew what was going on and by the time they arrived the tour company was waiting with their vouchers in hand. When my clients almost booked a trip through Expedia but shared the deal with me first so I could match and book it. I alerted them to the fact that the layovers in the package they wanted had them stuck in Miami for 27 hours each way. Needless to say, they hadn't even noticed it and were happy that I saved them from having to book a hotel in Miami which in the end would have been more expensive than the flight option with shorter layovers. When a hurricane hit the island my clients were set to marry on in just two weeks and I had to scramble to move them to another resort and island. Aside from okaying the changes, the bride, groom and guests didn't have to worry about a thing. I even was able to get the resort to cover the airfare changes for them. When I booked a group of clients for a trip and a few weeks later an awesome sale was announced, so I worked with the resort to have all of the room rates adjusted to the better deal before my clients even knew the deal had popped up. I had clients once who wanted a last minute trip. I worked to put together several packages within their budget only to find out they booked their trip online because they saw a deal I hadn't offered them. I thought it was odd since I had offered them all of the best priced deals that fit what they were looking for, so out of curiosity I questioned what the deal was. 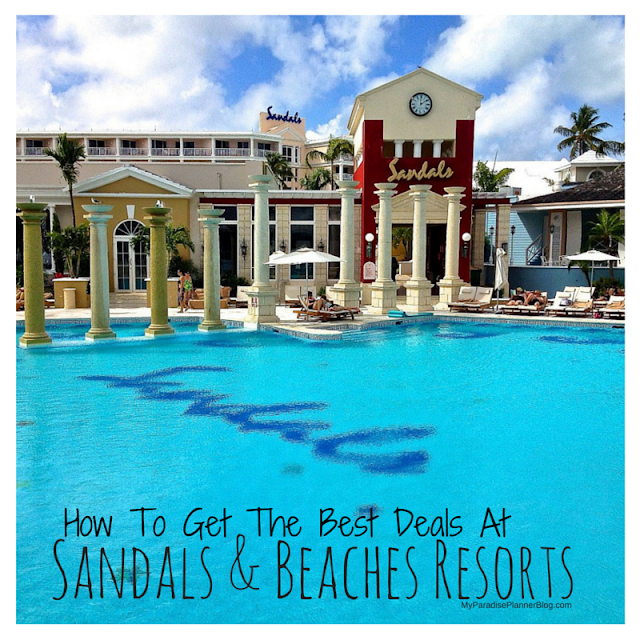 When they told me I instantly recognized it as a deal I hadn't offered them because it was an "alternative lifestyle" resort and I knew them well enough to know they weren't looking for that type of resort. Unfortunately, the internet didn't know them well enough to warn them of such a thing and because they booked and paid in full before checking with me they ended up stuck staying there. How Can You Find The Right Travel Agent? Pick one you feel you can trust. Maybe you know them already, maybe you don't, but if you feel comfortable and as if you're in the right hands then that's the agent you want to give your business to. What do their past clients say? Do they come highly recommended by someone you already know and trust? Great! If not, read as many reviews as you can find online and if there is an option to reach out to those clients and ask questions, do that for peace of mind. How do they handle customer service issues? You'll see a travel agent's true colors by the way they handle their customer service issues. Pay attention to how they respond to negative reviews or complaints against them, if they have any. Are they accredited, licensed, bonded, insured and certified? You want to make sure they have everything they need to legally run their business so if problems arise you're don't have any issues. There have been scary stories of travel agents who steal money and vanish. You can avoid this by working with an agency that is fully authorized to sell travel and insured not just for their protections but for your protection too. Do they genuinely care? You can tell by speaking to someone if they actually want to help you or if they're just going through the motions. Pick an agent who is just as passionate about helping you plan and book your trip as you are about taking that trip.